Once again, it’s time for our monthly update on risk factors that have proven to be good indicators of economic trouble ahead. As expected, the data hasn’t changed much from last month—it remains positive in almost all areas and has continued to improve in many cases—but it’s still important to keep an eye on things. 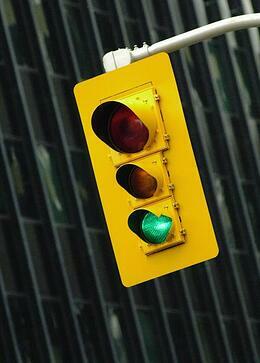 As we enter the month of December, the economic forecast remains encouraging. 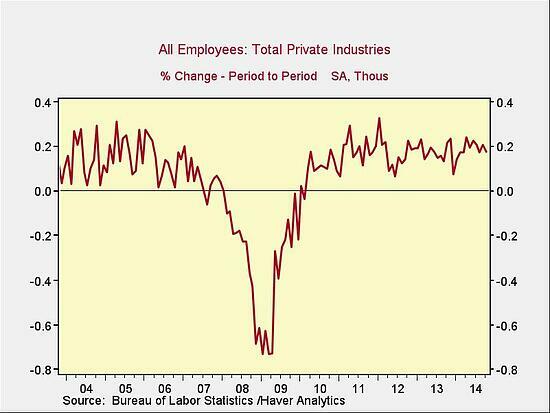 This data point continues a small decline but remains close to its highest level since before the financial crisis. Continued strength in the service sector is consistent with business confidence; as a representative sample of the largest sector of business, this is an important leading indicator. 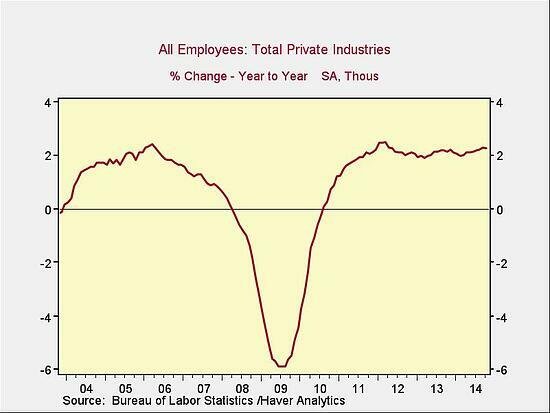 Private employment growth year-on-year continues to increase, remaining close to its highest point since 2012. Because this is an annual figure, the changes are slower and smaller than those we see in more frequently reported data, but the trend continues to be in the right direction. These are the same numbers as in the previous chart, but on a month-to-month basis, which can provide a better short-term signal. September’s strong report came as a relief after a weaker August, and despite a somewhat lower October number, total employment growth continues to be strong. Rates for the 10-year Treasury ticked down significantly over the past month, while 3-month rates remained stable, narrowing the spread. 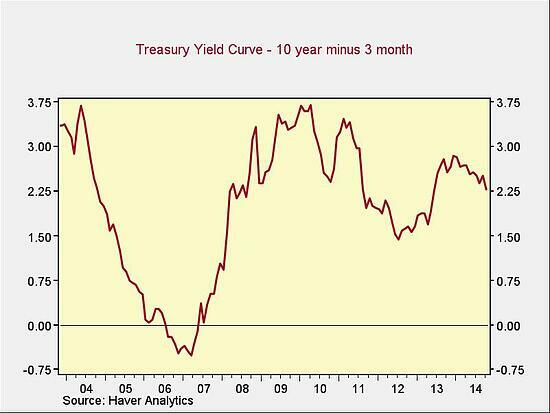 Nonetheless, the spread between long-term and short-term rates remains at healthy levels. This metric has not changed despite the end of Federal Reserve bond-buying, which seems at least partially due to low European interest rates. 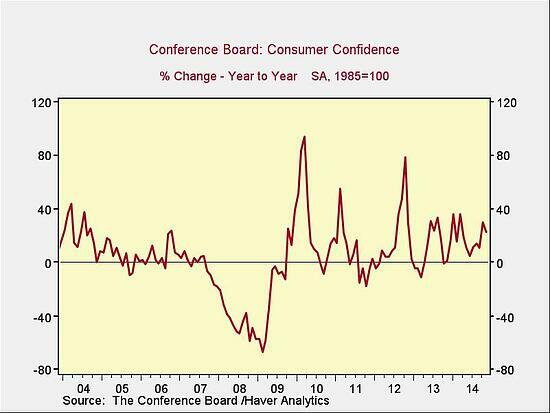 Consumer confidence dropped a bit this month but remains at one of the highest levels since the financial crisis, well above where it was a year ago. All of the major signs continue to be positive, and the decline in interest rates despite the end of Federal Reserve bond purchases is a notable factor. As we close out the year, economic growth remains well supported across the board.